Planning a Camping Trip? 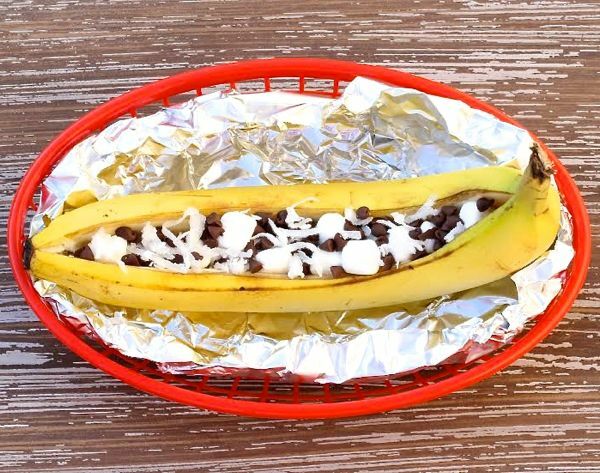 This EASY Campfire Banana Boats Recipe is the perfect camping dessert! Carefully slice lengthwise down the center of the Banana. Fill center of Banana with Marshmallows, Coconut Flakes, and Chocolate Chips. Cook on Campfire Coals or grill on Barbecue for approx. 10 mins or until done. Enjoy!